The Mission of Triad Reef Critters is to "bring the peace of the ocean" into the homes and businesses of the Triad. Our Aquarium Service department makes this possible no matter your aquarium dream or need. 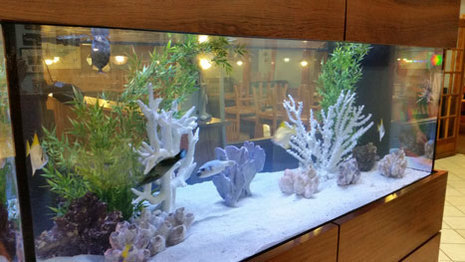 From custom aquarium design to aquarium maintenance, our goal is to provide you with a piece of the aquatic world that is enjoyable and relaxing for years to come. Great shop with knowledgeable staff. You can tell they care about the animals instead of just the sale. Most importantly, the owners are personable and true to their word.